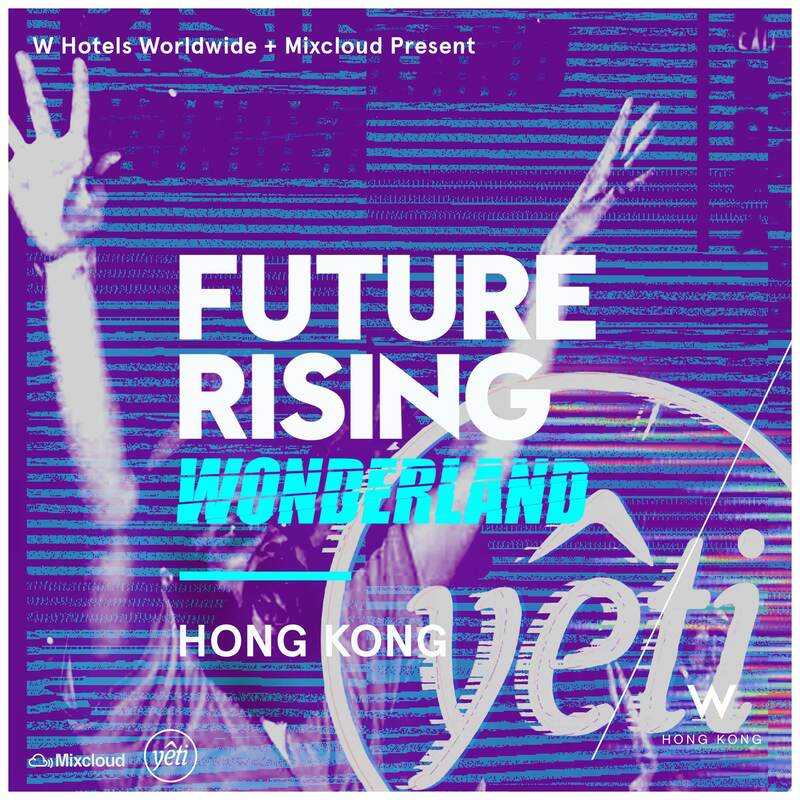 The W Hotel Worldwide together with Mixcloud are bringing Future Rising, a creative platform that includes music workshops, discussions, an EP listening session and an a stellar party to Hong Kong on July 21st. Future Rising is designed to identify, cultivate and celebrate emerging artists from around the world. So far in 2018, the brand has travelled to Barcelona, London, Paris, Istanbul, Dubai and Amsterdam, and worked with acts publications like Bipolar Sunshine, DJ UNER and his label Solar Distance, designer Faissal El-Malak and model Gregory Robert. The Hong Kong edition is a partnership with renowned culture collective and club promoter, Yeti Out. The event will be split into two parts; an inspirational, forward-thinking evening of talks and workshops of local innovators followed by a late night party. The evening will kick off with a compelling panel discussion about Future Rising before moving on to the Sounds of Hong Kong Workshop & AV Showcase featuring Delf, a Hong Kong based beatmaker and DJ. It will be followed by Silk Road Sounds’ listening session of their Chunking & Mansion EP. The party begins at 10PM at WOOBAR with Tedman Lee warming up the decks. He will be joined by J Hoon, Yeti Soundsystem and Hong Kong legend MC Gold Mountain. The bonus part of Future Rising is that is a free event. All you need to do is sign up here to score yourself a guestlist. Check out the event page for more info.